Please note that the content of this book primarily consists of articles available from Wikipedia or other free sources online. There are several names for the number 0 in English, and concomitant names for the decades where the tens column contains the number 0. 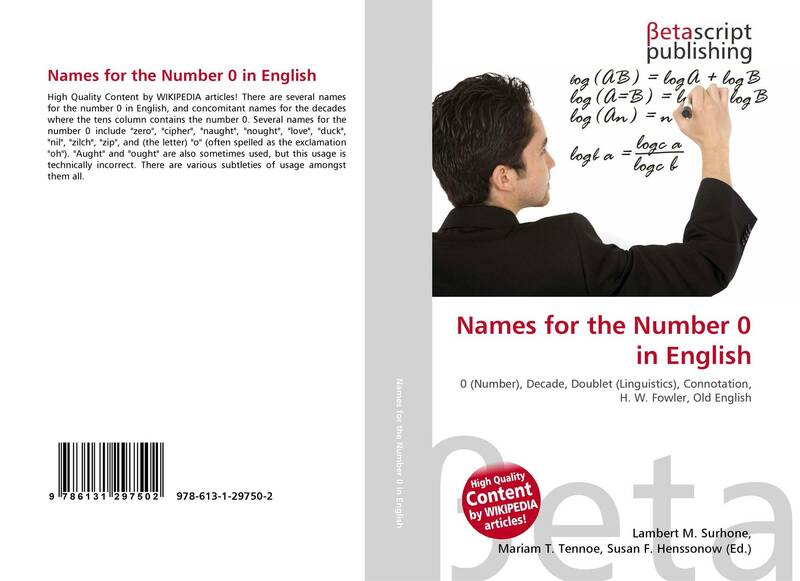 Several names for the number 0 include "zero", "cipher", "naught", "nought", "love", "duck", "nil", "zilch", "zip", and (the letter) "o" (often spelled as the exclamation "oh"). "Aught" and "ought" are also sometimes used, but this usage is technically incorrect. There are various subtleties of usage amongst them all.